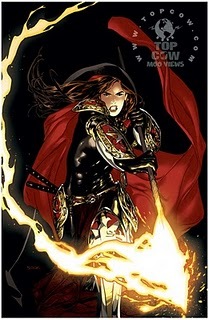 I have two books hitting stores this week: Magdalena #2 and the Witchblade Vol. 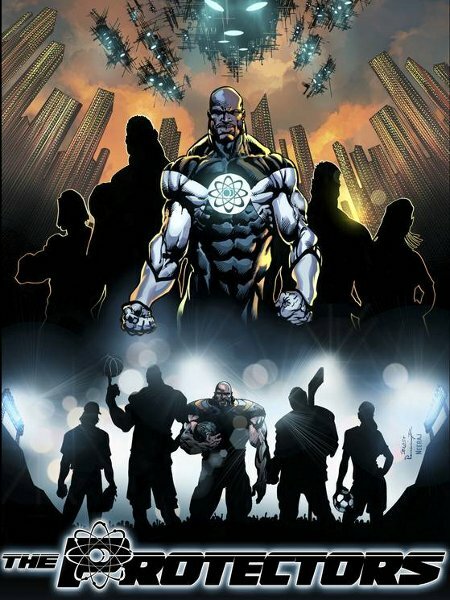 7 trade paperback. First up, Magdalena, the opening sequence of which you can see by clicking the simply amazing Ryan Sook cover pictured below. Response to the first issue was pretty overwhelming and extremely gratifying. We got a wealth of positive reviews, and the issue sold out at the distributor level within a week or two of release. Issue #2 picks up pretty much right where we left off, with Patience and her mentor Kristof confronted by a demonic presence on the island of Elba. The rest of the issue takes us inside the Vatican, including a glimpse of a hall that isn’t part of the usual visitor tour. 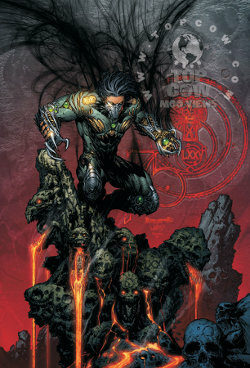 The art is by the regular team of Nelson Blake the 2nd (pencils), Sal Regla (inks) and Dave McCaig (color). As great as I think issue #1 looked, I’d venture to say issue #2 looks even better, as the artists get a little more used to the book and to each other. We’re just getting started on Magdalena, so I hope you stick with us for the duration. 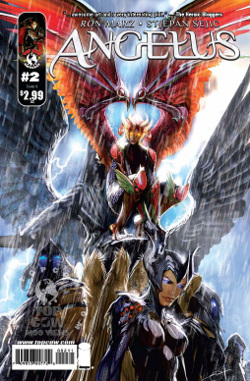 Magdalena #1 hits stores this week. I think it’s a pretty sweet book, but I’m probably a little biased. 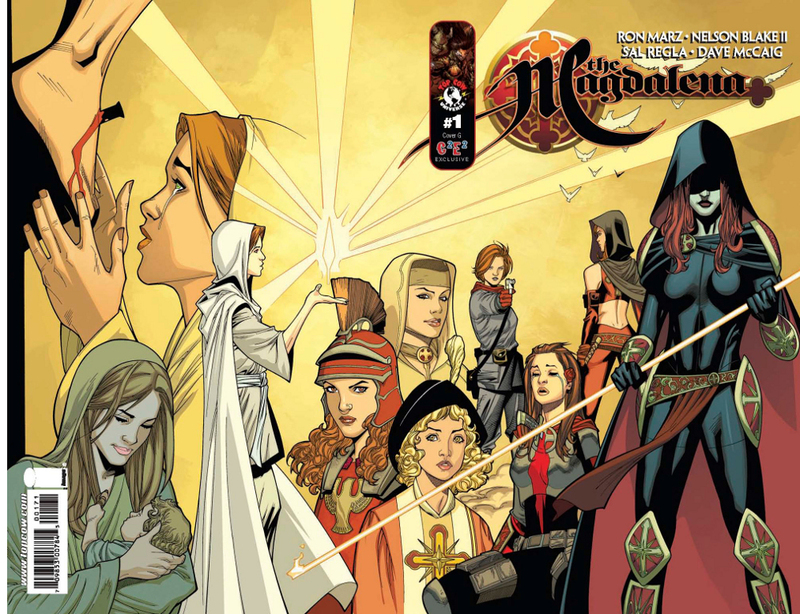 So maybe I’ll just leave it at saying Magdalena #1 is a book that I’m proud of, and I hope you pick up a copy. Putting a new title on the stands is always a risk, even more so if it’s not a Big Two title. I’d like to write Magdalena for years, but the only way that happens is if we sell enough copies to justify its existence. I’ve previously linked to Magdalena preview pages and interviews. With the book debuting today, a few more have gone up. 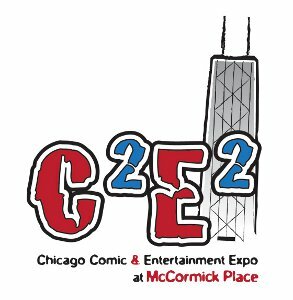 Here’s a video interview that Sara Lima of Comic Vine conducted with me and artist Nelson Blake 2nd at C2E2. I found the Multiversity reviewer’s comparison of Magdalena to Buffy the Vampire Slayer interesting. I expect there are similarities, but as I said on Twitter, I’ve never actually seen an episode of Buffy in my life. I can definitely say there won’t be any romances with vampires in Magdalena. In fact, no vampires at all … at least until issue #7. Preview pages for Angelus #3 and Magdalena #1 were just released. The Magdalena preview shows pages 1-4 of issue #1, which is a sequence that was added after I completed the first draft of the script. We decided to include an introduction that would be the Magdalena concept more accessible for new readers. So these four pages serve that purpose, as well as introduce a plot thread that will pay off later in the series. 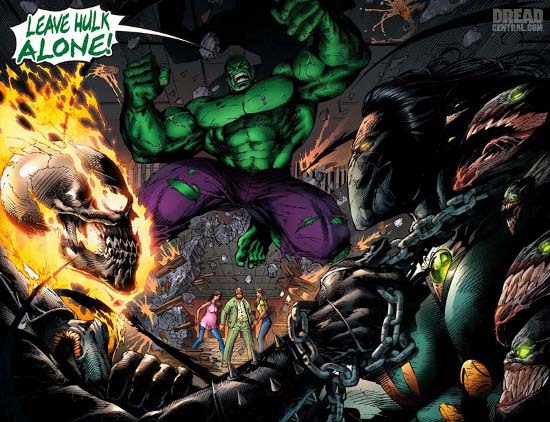 The art is by Nelson Blake 2nd (pencils), Sal Regla (inks) and Dave McCaig (colors). You can check out the Magdalena pages here. 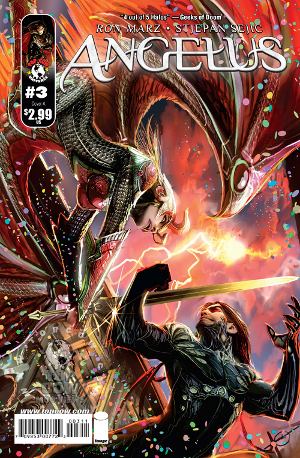 Angelus #3 will be in stores April 14, while Magdalena #1 will be in stories April 21. 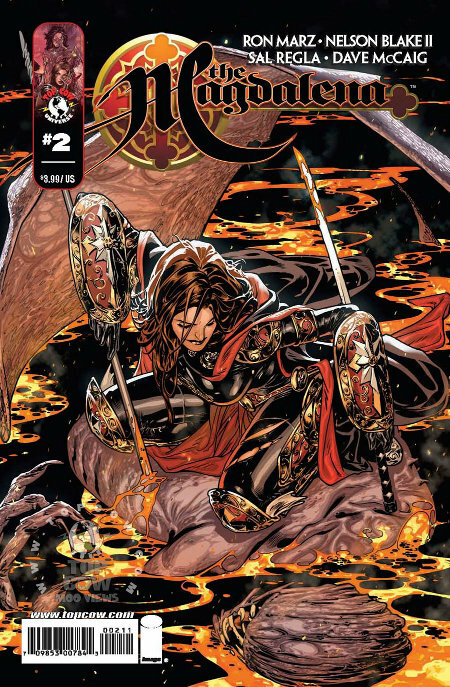 Advance copies of Magdalena, with a con exclusive cover, will be available at the C2E2 convention in Chicago, April 16-18, which I will attend along with Nelson and other members of the Top Cow herd.